Alpine Helicopter Tours offer scenic helicopter flights, chartered services and helicopter activity experiences in the Wanaka region. Operating from Wanaka Airport is an experienced team of pilots equipped with detailed local knowledge of Mount Aspiring National Park, the Southern Alps and Wanaka. A range of scenic helicopter flights include a tour of the Wanaka region, Mount Aspiring National Park that also takes in the Bonar Glacier and Mt Aspiring, and a tour of Milford Sound in Fiordland National Park. 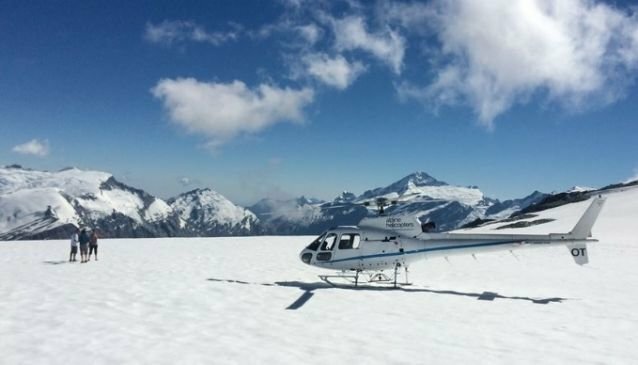 Alpine Helicopter Tours can also offer a combination of a scenic helicopter flight with another activity of your choice including a guided hike, a gourmet picnic or a farm tour. Adventure enthusiasts can discover the incredible mountain landscape from above, before touching down for the best skiing and snowboarding experience. Trips are fully tailored to suit skiing ability and experience. All flights are dependent on the weather conditions and can change at the pilots' discretion.